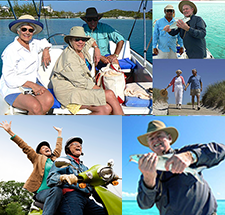 Self-directed IRAs don’t have the usual safety nets. Protect yourself by learning about what’s permitted and what isn’t in IRA investments—and don’t neglect to seek expert advice. David Moore of IRA Advantage shares critical information about prohibited transactions and disqualified parties in self-directed IRA investments. What Constitutes a Prohibited Transaction in Self-Directed IRA Investments? A prohibited transaction with respect to an IRA has serious implications. The issue is that if you commit a prohibited transaction with an IRA, the IRA is treated as being fully distributed as of the first day in the year in which the indiscretion occurred. That is something you definitely want to avoid. With a truly self-directed IRA, such as a checkbook IRA, there’s not much of a safety net, so these issues can come up. This is why diligence is necessary, because you want to avoid these problems at all costs. We take this very seriously, and it’s one reason why we discourage our clients from naming the limited liability company that’s part of that structure with their own name in order to avoid any confusion. We want to ensure that any time they’re looking at that checkbook IRA, it’s totally clear to them it’s not their personal account but a retirement account. It’s an extra level of caution because obviously they would be looking at a retirement account a bit more conservatively than just money out of their pocket. 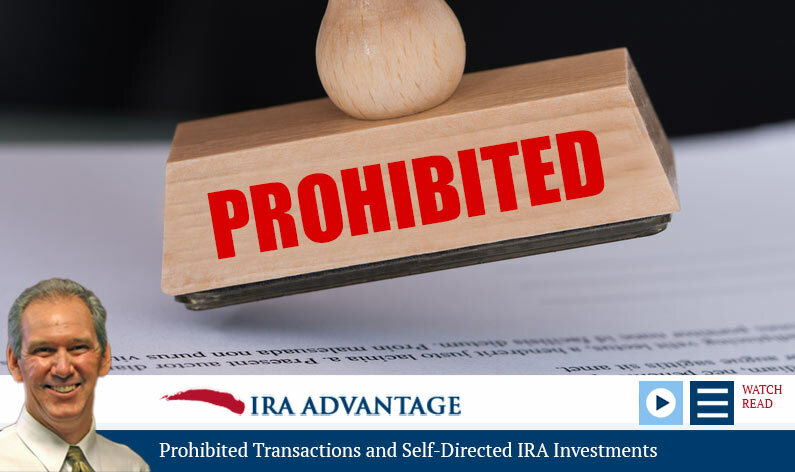 Prohibited transactions with an IRA are any investments in life insurance contracts, collectibles, or stock in a Sub S corporation. The way the law works is that if it’s not specifically prohibited, it’s allowed. If I attempted to name everything you could invest in, it would take all day. It’s much easier to specify what you can’t invest in, and it’s just those three items. For that reason, the investment itself is rarely a problem with an IRA. What causes problems is transactions between or for the benefit of a disqualified party. Who Is a Disqualified Party in IRA Investments? In short, lineal ascendants, descendants, their spouses, or any legal entity that’s owned in a controlling interest by one of those parties are going to be problematic. What’s interesting is you can’t transact between or for the benefit of a disqualified party, but you can transact along with one. Even if you want to be a co-owner of a property, you could be a co-owner along with your plan, and you’d have two choices on how to do that. You can do it as common members of a limited liability company. The upside of that is probably simplicity of ownership. The downside of it is we need to overfund that limited liability company. The initial investment in the LLC is going to be fine. Keep in mind if we’re talking about a multimember with disqualified members, then that means the custodian would be making an investment in the LLC, and you possibly, if you’re going to be a co-owner of the asset, would make an investment personally into that limited liability company. The initial funding is fine, but additional funds coming in at a later date from any disqualified source would constitute a prohibited transaction. This is why we want to overfund that limited liability company if we’re going to use that structure. Another opportunity is just to use a tenancy in common structure. The upside is that eliminates the complication with additional funds coming in. You want to make sure that you’ve got a tenancy in common agreement (or a TIC agreement) that is going to spell out everything that’s to be done with that property. It should really be an IRA compliant tenancy in common agreement too, something integrating the rules of IRAs and 401Ks in order to avoid any potential problem. The benefit of the tenancy in common structure is that you can have additional money coming in, but you should just have it come in pro rata. The other benefit is upon disposition in the future, if you personally own the property, tenancy in common along with your plan, you sell the asset and then the plan money is going to go back in the plan account totally tax deferred or tax free if it’s Roth funds that are not leveraged and your personal money, then you’d have the option to do a 1031 Exchange. Obviously, there are always pros and cons. One other thing I want to mention is one of the downsides of buying real estate with a retirement account, at least from a Wall Street perspective, is what happens if you’ve spent all your money on the property and it’s time to take your required minimum distribution (RMD). Real estate is not considered to be liquid, of course. What happens if you get to a point where you have to take that RMD and you don’t have any money in the account? Easy solution. Take an in-kind distribution. You could either take a tenancy in common interest in that property, or you could take a membership interest in the limited liability company. Of course, there are pros and cons to each of these. The assignment in membership interest is a pretty nice deal because you’ve got some discounting opportunities—what’s it worth, the valuation component, and then you can possibly discount that distribution by up to 40 percent.